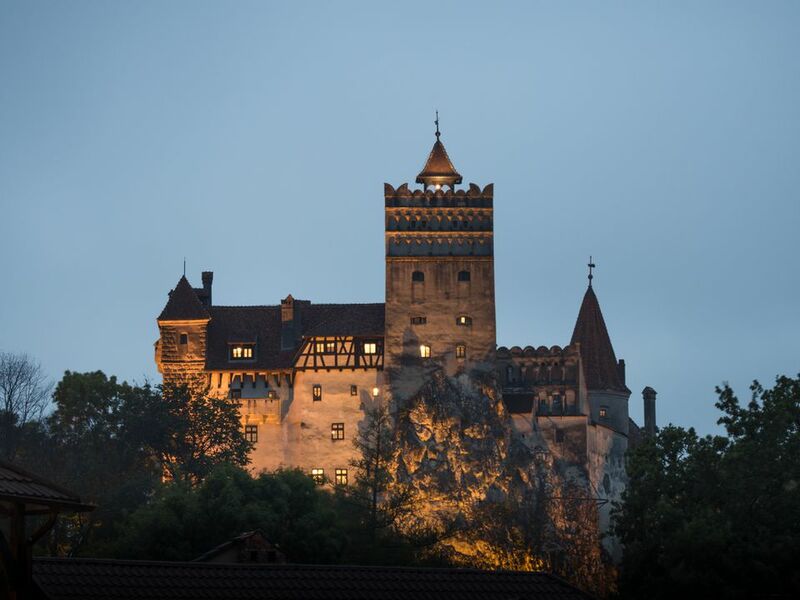 Transylvania has long been known as a place where vampires, werewolves, and the souls of the dead haunt dark forests and spooky-looking fortresses. Associated with Vlad the Impaler, the real Dracula, its history reveals gruesome punishment for intruders or disobedient citizens; Vlad Tepes was given his name as a result of his habit of impaling human bodies on stakes. Many of the most haunted places in Transylvania, ​Romania are also popular tourist attractions. Bran Castle is Transylvania’s most famous castle and the one associated with Bram Stoker’s Dracula. Bran Castle was a favorite residence of Romania’s Queen Marie, and its museum honors both this regal ruler and pays homage to the associations the castle has gained with the Dracula legend, however erroneous they may be. While the castle may not be as frightening as some sources suggest, both the folklore of the countryside, in which undead souls haunt villagers at night and the brutal medieval past that the castle witnessed are enough evidence for it to be considered haunted. Rasnov Citadel and Hunyad Castle seem to share a legend that might have happened at one structure or another, both—or neither. Both Rasnov Citadel and Hunyad Castle (also called Corvin’s Castle or Hunedoara Castle) are home to a legend about the digging of a well. In both stories, Turkish prisoners were promised freedom after they finished digging the well. In each case, the digging took over a decade of work though, in one story, only two men worked, while in the other, a dozen men were set to the task. In Rasnov Citadel, verses from the Quran were etched into the sides of the well by the prisoners, their fates unknown. At Hunyad Castle, the jailers broke their promise and killed the prisoners, but the well bears an inscription purportedly by one of the diggers lamenting his fate at the hands of non-Muslims. The legends evoke a sense of oppression and doom over the wells, and at Rasnov, human bones were reportedly found at the bottom of the well—whether from one of the unfortunate diggers or as a result of a sinister act at a later time, nobody knows. Transylvania’s Hoia Forest is regarded as a site of paranormal activity. As a result, various legends have developed about the forest and ghost hunters and those seeking other unexplained phenomena have been drawn to the site. A UFO was reportedly sited hovering over the forest in the mid-20th century, and ghostly apparitions, disappearances, and other mysterious happenings continue to baffle scientists. “The Devil’s Heart” at the center of the forest is spookily clear of trees. Poenari Castle was another haunt of Vlad Tepes, who used it briefly during his campaigns. This castle is said to be haunted by the wife of Vlad the Impaler, who jumped from the cliff to her death rather than be taken by Turkish invaders. Those who have spent the night on the castle grounds report strange phenomena, such as floating orbs and flashing lights. Banffy Castle is a shell of a castle, which may have contributed to stories of supernatural activity within its vicinity. The castle suffered a fire at the hands of retreating Nazi soldiers in WWII, destroying its rich interiors. Banffy Castle was visited by the team of Ghost Hunters International during season 1, episode 114. Today it is undergoing renovation with the help of funds of various organizations dedicated to preserving historic structures. Whether its ghosts remain after reconstruction remains to be seen.